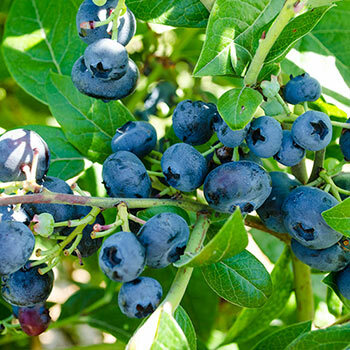 Northcountry Blueberry - Fruiting | Michigan Bulb Co.
Low-growing bushes reach only 18–24" in height with a 30–40" spread, but each can yield up to 7 lbs of fruit annually. Ripening takes place in early July, following a myriad of white blooms. 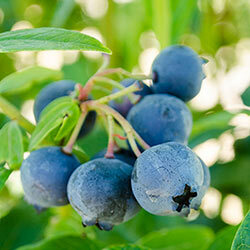 Sky-blue berries have sweet flavor. 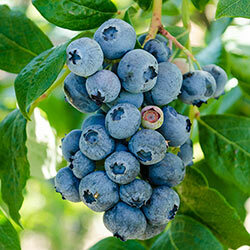 Cold-hardy variety grows best when planted in well-drained, acidic soil where it can get full sun. Now shipping in a gallon pot, ready to be planted. Zones 3–7. Foliage Type: Glossy green foliage turns scarlet red in fall. 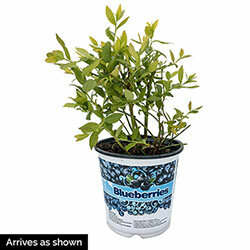 Planting Instructions: Plant at same depth as it was in pot. Firm soil and water thoroughly. Winter Care: Apply mulch around base for added winter protection.